The Exiles comic books definitive issue-by-issue collecting guide and trade reading order for omnibus, hardcover, and trade paperback collections. Find every issue and appearance! Part of Crushing Krisis’s Crushing Comics. Last updated November 2018 with titles scheduled for release through March 2019. 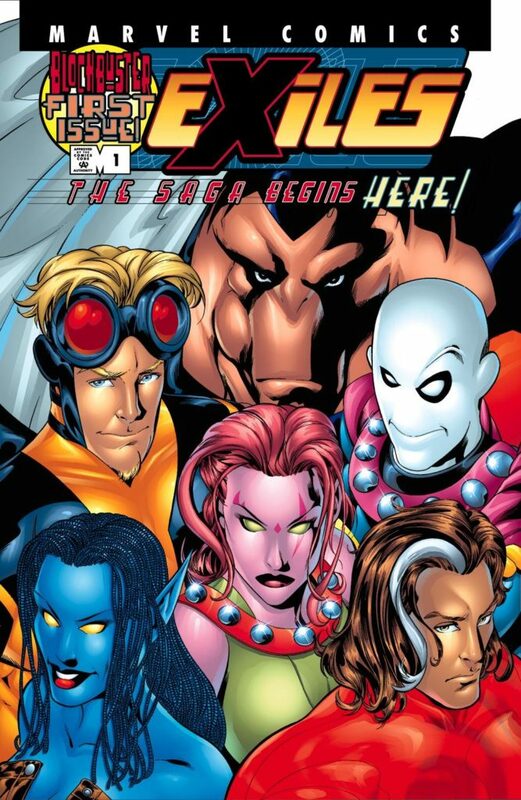 The launch of Exiles in 2001 by writer Judd Winick with author Mike McKone was Marvel’s first long-running ongoing with a continuously-told story combining reality-hopping and alternate versions of heroes. 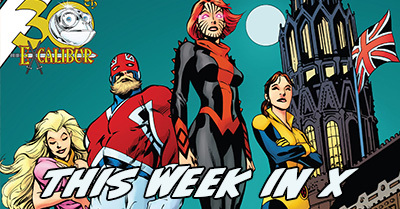 Prior to the launch of Ultimate Comics in 200o, Marvel Comics had a slim list of ongoing titles that lived permanently in alternate continuities – and Exiles was nothing like Ultimate Comics. Ultimate had the goal of the alternate universe as verisimilitude – the environment started the same as the main Marvel Universe only more modern, and the fascination was watching it splinter. McKone’s pitch for Exiles followed the debut of Ultimate Comics and swiped the title of a 1990s Malibu series, but it had much more to do with Marvel’s classic series What If. What If never told a consistent story – in fact, there were hardly ever two issues which focused on the same tale! Each one-shot take hopped to a new reality to imagine the most twisted possibilities. Exiles combined that reality-hopping approach with a consistent team, much like Chris Claremont’s classic Excalibur story The Cross-Time Caper. Instead of starting with a team of known 616-reality heroes, McKone drew inspiration from Age of Apocalypse. That event presented four months of an alternate reality full of X-Men reimagined to take advantage of their best and worst qualities. Exiles would do the same, only with a palette of infinite realities from which to choose.